Kawaguchi is also the creator of Jenkins, Continuous Integration Server that's formerly known as Hudson. Its plugin system enables Jenkins to support a wide array of developer tools. Veeraraghaven will be presenting on ‘Using data to infer deployment profiles for cloud applications’. At Walmart there are hundreds of products under each technology pillar, and the presentation will explore challenges and focus on machine learning solutions. As a Cloud Engineer on the Google Cloud Team, Sharma focuses on AI/ML, Big Data, Blockchain and Kubernetes for various customer use cases. Previously she was working with NTT Data ( Global Fortune ranking 55) in Big Data and Data Science. Hirsave is on a mission to revolutionize travel through the power of technology. He will share his expertise on how machine learning can enhance and optimise DevOps. Designs are underway for the next human outpost in space, a habitat in lunar orbit. This “Gateway” to deep space human presence represents a paradigm shift in human spaceflight, Badger will explore ‘Robotics and AI: The Future of People in Space’. Thakral is a Digital Technology leadership program and MBA graduate with over 16 years of experience. His interests and expertise lie in robotic process automation, artificial intelligence, cybersecurity, technology risk and compliance. Li works on Marketplace, where the team enable people to connect via commerce on Facebook, with a focus on using applied data and analytics to build eCommerce behavior. She will share her work on ‘AI for Diverse Avenues/Applications: E-Commerce’. With the remarkable growth of AI, there are also emerging pain points with algorithms behaving as black-boxes and concerns that human intelligence might become less relevant. Chang will touch on cases where human business insights help to improve AI and where business insights are gained from AI. Jumpstarting AI projects is complex. This workshop will explore important facets of an infrastructure built for AI, and show performance results that can shorten model training cycle from days to hours. The imperative for ethical design is clear – but how do we move from theory to practice? In this workshop, Accenture expert and Responsible AI lead, Adams will lead an interactive design thinking and ideation session to illustrate how AI solutions can imbue ethics and responsibility. The Adobe team will be showing how they leverage AI and machine learning to build predictive autoscaling & self-healing services as well as automate risk classification. The workshop will be a deep dive into improving the Adobe Experience Cloud Services dependability with machine learning. In the VC & Startup Mentoring Session attendees and startups more specifically, will be provided with the opportunity to ask questions and pitch to VCs and Investors in Technology and AI. Participants include: Tim Kopra (Blue Bear Capital), Andrew Smith and Jake Askew (Cannon Ventures), Stephanie Campbell (Houston Angel Network), Allison Sawyer (The League of Worthwhile Ventures) & Roy Johnston (Worthwhile Ventures). Head over to the Education Corner where there will be networking breaks with rising start & local tech programmes. Participants include: Jeremy Graybill, Sr. Manager of Data Science & Advanced Analytics (Anadarko Petroleum), who will be sharing information on their data science internships and student co-op program, Lisa Vaughn, Master’s of Data Science Program Manager, (University of Houston) & Detlef Hohl, Chief Scientist of Computation and Data Science (Shell) who will be sharing info about their AI Residency Program. 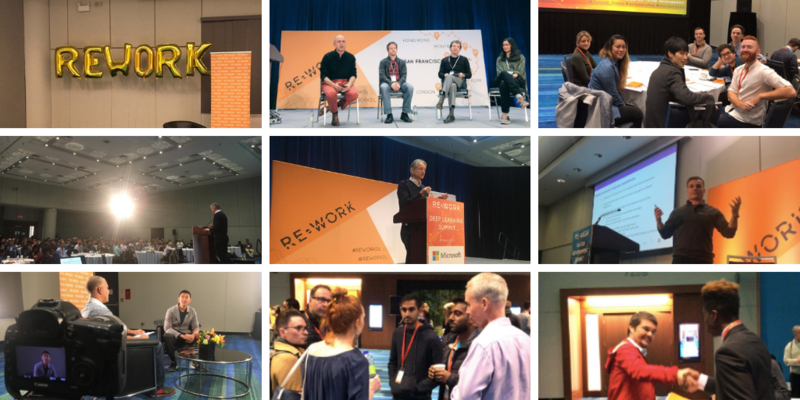 Join RE•WORK in Houston to explore the imminent revolution where Machine Learning will be harnessed to benefit DevOps, improve processes and give an insight into the data generated during these practices. Learn about real-life AI applications, case studies, business insights & results from leading companies leveraging AI to solve problems in enterprise.